A common challenge for the average Australian small business is the effective tracking and regular communication with their customers, past present and future. Most bigger businesses have met this challenge with a customised CRM, a system which lets you track all enquiries and sales. In turn this empowers you to get real time reports on your business without having to guess or estimate. You may ask why an SEO / Web Design business would be accredited in this field and include this service as part of our offering. The answer is simple. Our services have been proven to increase the number of enquiries and sales for our clients. As this increase occurs our clients find themselves dealing with more and more customers. Dealing with this increase requires a higher level of organisation and administration, something which many businesses are completely unprepared for. A customised CRM automates most of the organisational and administrative functions for a business while at the same time ensuring that no leads / customers fall through the cracks. 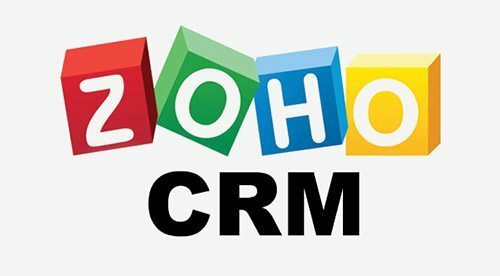 There are dozens of CRM providers in the world but our extensive CRM experience has shown us that Salesforce and Zoho are the best for big and small business. Our CRM experts will assess your requirements and make the appropriate recommendations for the system which best suits your business. A customised CRM is not necessarily expensive and in most cases pays for itself in the first few months. Call us during business hours on 02 8006 2994 for more information or contact us online using the handy online contact form below.